Ravindra Jain (28 February 1944 – 9 October 2015) was an Indian music composer and lyricist. He won the Filmfare Best Music Director Award in 1985. Jain was one of the most notable Hindi music directors. 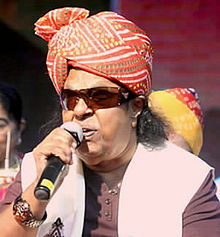 He started his career in the early 1970s, composing for hit movies such as Chor Machaye Shor (1974), Geet Gaata Chal (1975), Chitchor (1976) and Ankhiyon Ke Jharokhon Se (1978). Jain died of multiple organ failure at the age of 71. This page was last changed on 10 October 2015, at 13:26.